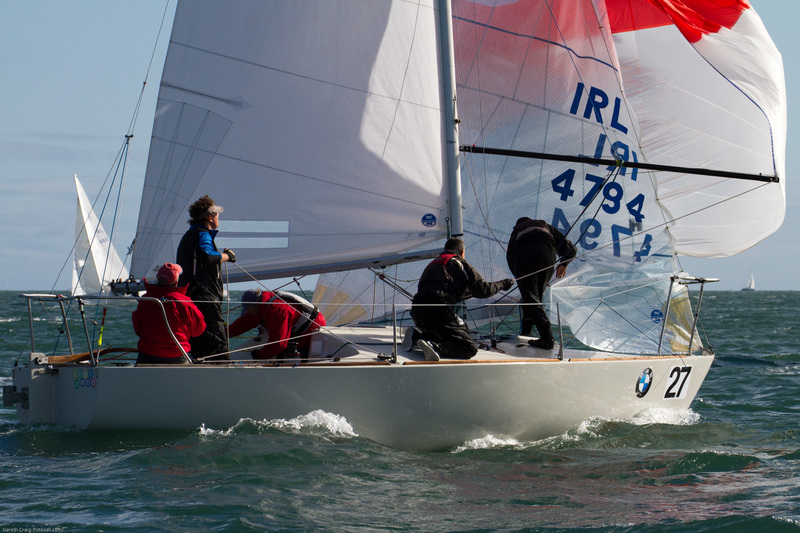 The 42-boat fleet at the BMW J/24 European Championship at Howth Yacht Club faced a tough schedule of five back-to-back races on the third day of the regatta, sailed in ideal conditions. 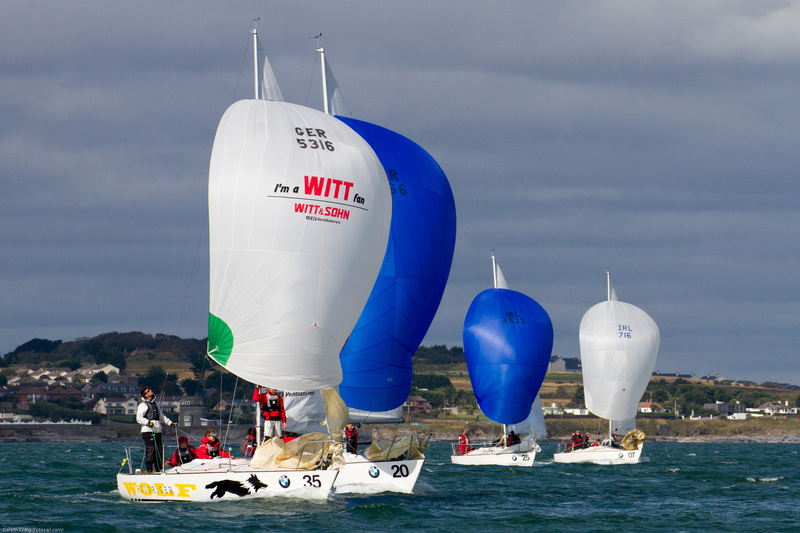 They made up for the weather-affected programme and it was the consistency of the sole American entry and a leading UK contender over those five races which has put them very much in command going into the final day. ‘Reloaded’ (Mark Penfold, Rochester YC) with Mike Ingham on helm, won the first race of the day, sailed in a brisk westerly, with Irish champion Flor O’Driscoll (Hard on Port, HYC) producing the best local result to date by finishing 2nd ahead of the much-fancied ‘Il Riccio’ (Ian Southworth/Chris McLaughlin, RCYC Cowes). 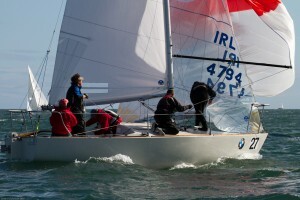 The British boat moved up a gear in the second race, winning from defending champions ‘Serco’ (Bob Turner, Castle Cove SC) and the Greek champions ‘Evniki’ (Aitsiadis Dimitrios) but ‘Reloaded’ bounced back by taking the gun on the series’ 4th race ahead of ‘Serco’ again and ‘Jeli’ (Stig McDonald, R.Western YC). 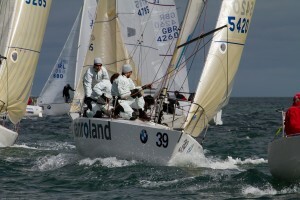 Race 5 in the series saw a complete reversal of fortunes, with the honours going to boats not previously in the frame. 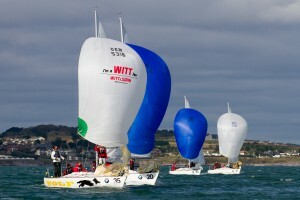 Victory went to ‘Jawbreaker’ (David Cooper, R.Western YC) in front of German boat ‘JJone’ (Frithjof Schade, Joersfelder SC) and the Italian champions ‘La Superba’ (Ignazio Bonanno, C V Marina Militara). At the same time, it proved disastrous for ‘Reloaded’ and ‘Serco’ who finished 20th and 22nd respectively. Added to a black flag on the opening race, that result has had a significant impact on Serco’s chances of retaining the trophy. 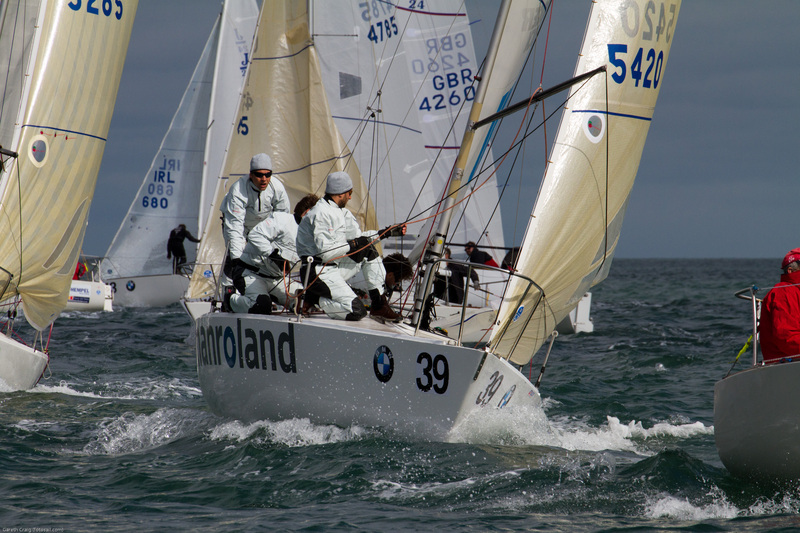 The fifth race of a long day on the water for 210 competitors (and race management personnel) was a triumph for one of the J/24 Class stalwarts Stuart Jardine whose ‘Stouche’ headed ‘Hungriger Wolf’ (Johann Huhn, SVAOe) and ‘Reloaded’ to the finishing line. With one discard in force at the moment, ‘Reloaded’ has just two points of a margin over ‘Il Riccio’, with ‘Serco’ 21 points adrift in the bronze medal position. Four races are planned for the final day (Thursday 15th) to complete the 10-race schedule.